Chinese automaker Nio’s all-electric sports utility vehicle, the Nio ES8 has successfully entered the Guinness World Record by climbing height of 18,751 feet. This is the 1st time that any electric vehicle has gone at this much height. 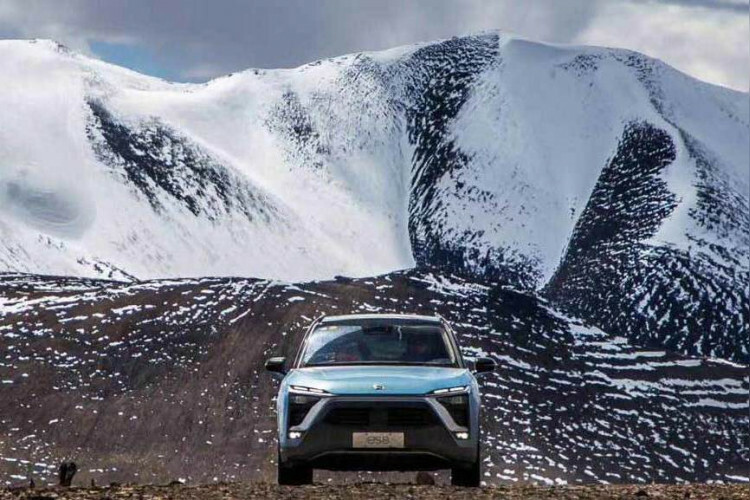 It climbed the world’s 3rd largest Purog Kangri glacier in Tibet, driven by Chen Haiyi to tell that the car is reliable and its battery can withstand extremely low temperatures.